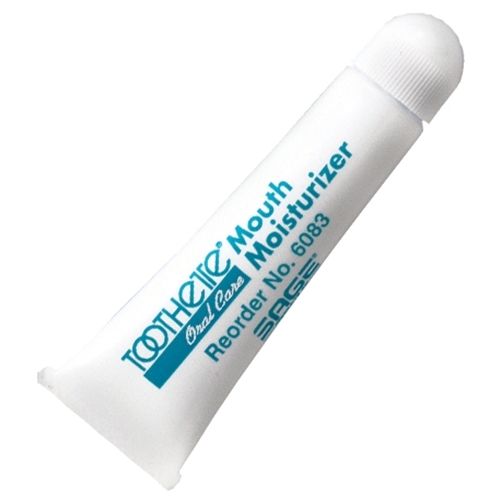 Sage Toothette Oral Care Mouth Moisturizer from HealthyKin.com has a pleasant, minty taste. It soothes and moisturizes lips and oral tissue with vitamin E and coconut oil. I was diagnosed with Sjogren's Syndrome, with dry eyes and dry mouth. I have tried many products and this is the ONLY one that I have found to be helpful. I use it especially before bedtime. I highly recommend it. I used this product when I was recently hospitalized. I brought it home and found out how to order my own supply. It keeps my mouth tissue moist and comfortable. Great Product. This is the only product that relieves my dry mouth due to Sjogren's Syndrome. My pharmacy technician has recommended it to some of their clients who have had trouble finding a product that was helpful. Great product !!! Was recently diagnosed w/stage 4 pancreas & liver cancer. Currently receiving Chemo and this product works wonders for the dry mouth and lips. Excellent price-easy ordering and fast shipping. Would recommend and I will be buying again should I live that long. I love this product! I was diagnosed with Sjogren's Syndrome and tried various products for dry mouth, none of which did much of anything. Then my pharmacist's technician recommended this and I tried it. This is the only thing that works and I highly recommend it. My wife uses it for dry mouth and lips. She says it works well for her. This has a refreshing feeling to the lips. It continues to keep your mouth refreshed.